Is love out of the equation or it is still valid to discuss about love when doing business, social management and city management? What is emotional intelligence and why Matrix-Q Emotional Intelligence provides a more advanced suitable tool for leadership and strategic management ? How to advance Matrix-Q Emotional Intelligence? How many classes of emotions there are ? Which are the 9 types of emotions according Matrix-Q Intelligence ? How the use of PT-Theta Tools for Holistic Strategic Management and Leadership help its users advance human intelligence, emotional intelligence, leadership skills and effectiveness ? WHY IS STILL VALID AND NECESSARY TO TALK ABOUT LOVE ? Humanity social and community bonding oriented in its most instinctive nature seems to arrive as a species, through a modern global culture agreement, that “love” defines its most essential policy for living. Love nurtures everything, relationship, family, culture, nation, business, ideas, projects, teams… what we love and what are we able to do and give for what we love, some how also defines us. But which types of love there are? As a teenager i did read few inspiring self-help books related to love and emotions and the variety of alternatives there are, how for example the love we have for parents is different to that one we do have for children or love partners, for brothers and sisters or best friends. In which sense different ? different in the sense that is expressed through a different form, process, boding process, duties, expectations or not, responsibilities, skills, traits and values, cultural expressions of love, but in essence, we would like to tell that love is always love. The word love nowadays can take almost everything, from non dual love to intellectual love, sexual love and all forms of love there are and could be. We can even claim are able to love science and technology. But what do we really mean with love ? what bring us together and how that field created through conscious, subconscious, objective or subjective relationship, interaction, becomes a bond, strong and stable enough to sustain a process of collaboration, cocreation of a sustainable love based relationship and all cocreative outcomes that belong to the individuals engaging in it. For example, creative friends, based on what they have learned, and appreciation they have for each other creative skills and knowledge, love developed between each other, combined with an strategic positive and inspiring circumstance, may engage into an entrepreneurial project. If the love bond they have for each other is stronger than the challenges faced as entrepreneurs is a question, that only experiences and time will answer. Will the survival instinct force the individuals involve in collaboration to advance their own resilience ability, to share a common vision, to engage into one mission statement and endure the process necessary for success, effectiveness, or not? is it a question about love or interests and convenience ? In this article, presentation i would like to suggest some ideas, perceptions of love and a frame for practice and development of emotional intelligence, that has its foundation in PT-Theta know how. How is love perceived through PT-Theta tools. In the following chart, the 9 cyphers of the PT-Theta systemic tool for assessment suggest keywords to be studied for purpose of leadership and entrepreneurship, focus holistic strategic management. If we add to them emotions, and in particular love, what would be the result ? In the” Thesseract Theta”, which is another perspective of the 3 triads, normally presented or studied through the “Nordic Star Theta”; a new perception of the relationship between the fields of the cyphers is observed. The vertical alignment between cyphers 3, 6 and 9 suggest us a starting point for the study of emotional intelligence, according to PT-Theta know how. The 9 types of love, will suggest us not only 9 fields through which love can be expressed, but as well a systemic approach for love applied to tangible life needs, a pragmatic love based system. In other words, as well, a set of 9 classes of emotions, associated to the 9 respective cyphers is through this geometrical structure suggested. LOVE EARTH-3, earth becomes a love necessary for survival, just ask yourself a simple direct question, what would you do not do for helping your beloved ones to survive, to be alive ? have you ever faced a life threatening situation ? or the challenge of survival in the field of your beloved ones ? Beloved ones means here any type of relationship which involves emotions and in general, if you now or at the end of this presentation, perceive those relationships as love based. How many times parents that are not at home and focus on making a living, generating and earning the necessary wealth are judged as lacking love-ability ? Without those efforts, survival would not be possible. (REF: Wealth generation and the earth element, peace and leadership). Notice all needs that must be covered for a family, network, community, organization that are suggested by the cypher 3. How much effort and dedication it means ? Love expressed through the earth element, generates the means necessary for health, nurturing substances, shelter, family, community, nation, the foundation for wealth generation, the survival of the clan and species. If you make a list of emotions associated to your experience, efforts, intent to achieve mastery, stability and sustainability of the wealth generation, which would be those emotions ? How those emotions you hold and express, help you achieve your goals at the field 3? Which kind of development process do you need for this field of emotional intelligence ? What is in conflict within yourself ? How can you emotionally advance your effectiveness for wealth generation ability ? LOVE WATER-7 : Water is the emotion field by definition. Information given to this field may shift emotions dramatically and influence the perception of the individuals and collectives. For example, the love you may have for your company, how would that change if along a season of work, the trendy information shared in the intranet of the organization is a potential threat, for example national economy predicted to lost stability, or the need to reducing the number of job positions, or the death of key employees, leaders, in a factory accident ? Life circumstances may affect our perception of the current needs and opportunities and the ability of the individual of being effective for a particular task, challenge or process. Love expressed through emotions, in the field 7, may vary in its form: from liquid, adaptable to any external condition but always following a gravitational force, to a cold centered grounded cutting love that is necessary to face challenging survival conditions, or another form of love which is pervasive, always expanding, including, present but never pushing nor disturbing. Love, in the water field, may take many forms, but are you able to adjust, shift the form you express or communicate your love to the circumstance ? or do you need a particular training to learn how to do it ? Are you able to shift on how you express your love or you have only a solid, liquid or vapor type of emotional modality ? What means love in this field ? but your ability to shift ? If you ask your network on the number of emotions they do know, how many would you have in a list ? Would the list vary from culture to culture ? clan to clan ? family to family ? how many words do you know for emotions ? If 1 million individuals from all around the world would be tested on brain activity, biochemical shifts and immunology system performance, in relation to their emotions, and keywords used for them, would all as a single human species show the same type of data ? information ? At the Matrix-Q Research Institute we believe, according to our studies, that the answer will be a radical : “NO”. But then how can we study human emotions ? and here is the key, we believe we do, we can, and better it is possible to not only study them but educate them, advance them, and develop them in the form of helpers, tools, for the advancement of human effectiveness. (REF: CXO Program http://cxo.luisdanielmaldonadofonken.info ). LOVE FIRE-8: In order to complete the triad of the under-world, which focus on survival, creativity and transformational skills, productivity is necessary. How effective is your strategy, how capable to transform a life circumstance into a situation from which you and your beloved ones can profit, in terms of love, what ever love between you may bring together and create. For example, if a particular challenge in a city seems to make it impossible for its citizens to enjoy life, or feel comfortable walking in the city, safe, or with a feeling of community, what would the city management be able to do ? How citizens may be capable to think-tank creatively and engage together into collaboration and a transformation process of the circumstance ? For example, there are cases in which children or youth at the city may be affected by an important challenge, that families alone can not face without community collaboration. For example: street children, drugs, children abuse, or lack of education services in town, or lack of a community centre. Love for your own city, may give you the impulse to engage into the thinking, design, and implementation of an strategy capable to transform the circumstance into a more beneficial set of conditions. Sometimes challenges create opportunities, that if perceived correctly, become the source of a great transformation, a bridge between our vision, challenges, resources, and achievement, process and effectiveness. The FIRST SPHERE OF LOVE, achieve stability when the first triad is stable, when the three cyphers, or the skills, activities of the three cyphers, are stable in cocreation and collaboration: earth-3, water-7 and fire-8. The first sphere of love is that one of the under-world, that signs and seals the stability for survival. 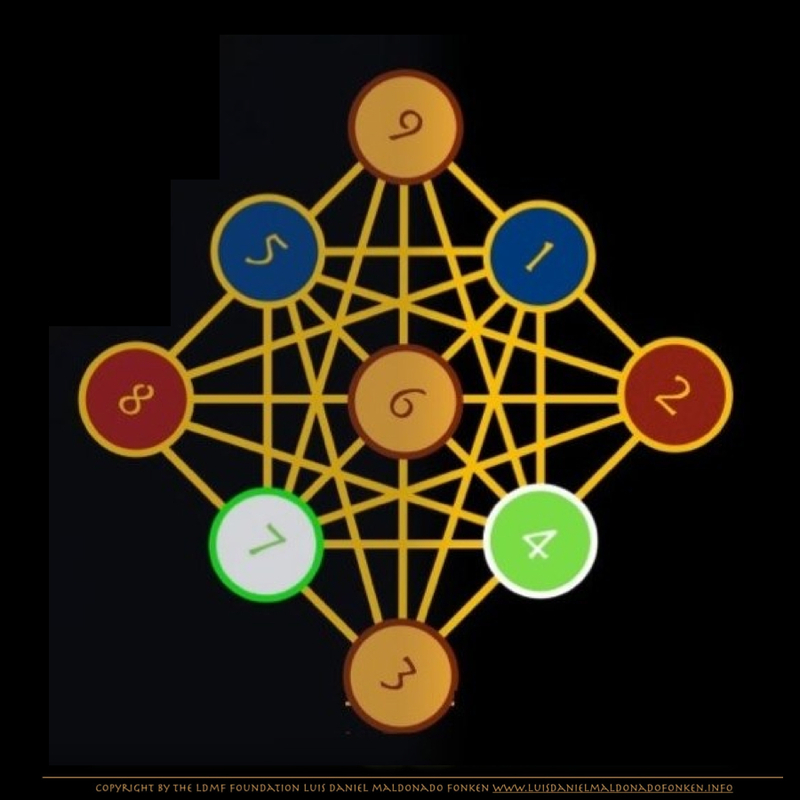 In the Tesseract theta, the advanced development of the cypher 3, becomes the roots, gives the grounded stability for the three spheres system, the axis for holistic sustainable development. Now that the earth-3 is stable, the golden heart-6 can express itself in a new form, the impulse for the second sphere of love is given by the stability generated by the first sphere of love. LOVE HEART-6: Love is mostly perceives as a quality of the heart. We are suggesting along this presentation that love is a quality expressed in 9 forms or through 9 classes of emotions, activities, skills. But now that we are describing the love of the heart, what doe sit mean ? At the tesseract theta, the heart takes the central space, giving balance to the whole 3D, MD geometrical system. Creating the bridge between the triad from heaven and the triad of the underworld, through culture and community, design and organic development. The heart is so related to the trees, purpose of creating an ecosystem, capable to sustain life. A pillar, bridge between heaven and the underworld. In that sense, the emotions expressed through the heart, will nurture the living ecosystem, and its design, organic development, sustainable development, building up community, culture and network. From another perspective, the heart-6 creates a wing, that is balanced with the earth-3, at the Nordic Star Theta geometrical model, both of them are necessary, for the golden triangle, and create the foundation, the base for it. The values chosen, the gifts, bliss, skills, self-dentity traits the individual practice in daily life, family and business, are those utilized as expressions of love ? How do we love, nurture the organic development process and design of our culture (family, city, nation, organization, government culture) through them ? Which kind of emotions are experienced while taking the challenge of the heart ? When a dual heart is looking for enemies, that heart will find them. But when a non dual heart is looking for opportunities, nor enemies nor friends, will become a challenge. How the heart builds own identity and creates a foundation, perception and emotional judgement of value, is essential for the CGI (Culture generation Engine : or collective cognitive ability of the nation or group of individuals or individual guided, lead by that particular heart and its particular traits). Leadership must be able to hold a heart capable to lead, and equalize, and harmonize the hearts of all team, community or clan members. But is it possible to share one common collective heart ? here is the instant in which love vary from CGI to CGI, definition of operational guidelines, values, that will influence perception, decision making, and set the structure through which a community will build up customs, complex values, create a culture and define the meaning, need and nature of government and defense. LOVE WIND-4: When the operational values of a community have been set clear, the implementation will need of time, process, that will be organically expressed through how the families, new generations of all clans involved, stake holders, engage into community, network, collaboration and cocreation of a culture. A mission statement that involve the necessary conditions and stages of development of a culture will help leaders guide along a process, and focus on effectiveness at milestones or stages of it ( REF: PT-Theta The Golden Tree of Life Method ). How is love expressed through family, and community, clan and boding ? Since the original tribes of nomads, the function of a clan has been that of safety. As well in a forest, the fact that more trees grow out of seeds, ensures the stability of the ecosystem necessary for more trees to grow; so far the necessary living conditions are present and the soil for example, is able to give life to more trees. Life in these terms self-regulate. So as in the forest, as well in the human cultures. A variety of species of plants and animals cocreate while living together an ecosystem, a complex living system that when in balance, holds the necessary conditions for life. For each species, a clan, a cluster, holding together, means the possibility for survival, evolution, adaptation, learning, safety, defense. So humans have also learned on the importance of a clan, or a team, or a network, that is capable of resilience. What can be stronger than blood ? In modern family companies, heritage of a clan, the roles of leadership have been passed on generation after generation. Love for the clan, takes the expression of the activities and decisions necessary for the development, resilience and stability of the living complex system created by the family business, for example. Once a clan member have understood this particular perception of love, and is capable to express it skill-fully and with great effectiveness, becomes by natural legacy process, a clan leader or a responsible love based leader and member of a clan. Which are the emotions involved with collective collaboration, cocreation, communication and engagement ? What can be achieved by a cluster, clan or collective, when the right emotions are present ? LOVE-ETHER-5: As soon as there is a collective involved, culture, mission statement are necessary; operational guidelines, values, and process that leads to natural organic development, resilience and sustainable achievement. Yet, complexity asks for self-organization which may take place in part through conscious and objective choices and design, and as well in a great mean through subconscious and subjective choices. Along 2010, while i was teaching PT-Theta know how, at that time, under the brand of Elements Management, i used to suggest a cluster to gather in a circle, interconnected through their senses, and follow a balancing harmonious movement, made stable by the cluster self-regulated movements. As soon as the cluster managed to generate an emotionally stable balance, i may ask a question challenging their emotions and choices, bonding. In general this type of subconscious and emotion based subjective assessment was very effective, as the quality of the movement, balance of the cluster will vary, the interaction between the cluster members will very, become visible. Emotions and perception, thoughts, have a strong power of influence in self-organization, resilience, stability and mostly on how along the collaboration process, mission statement kept as foundation for decision making, will face challenges in terms of stability and focus, as the emotional-structures are not clear enough. Which emotions are key for a particular cluster may vary in principle on the cluster specialization, expertise. For example, a cluster that works outdoors on extreme sports, must be used to adrenaline; yet another cluster with focus on performing arts, must develop the ability of empathic co-creativity; while other cluster working on technology innovation must develop the ability of design, risk management and assessment, prediction, for example. The human cluster self-organized suggest already a type of ideal organizational model. While, leadership may also suggest or enforce an organisational model which is ideal for the evolution, development of the cluster, which will help its members to upgrade, educate, advance their emotions, perception, self-management, collaboration and management abilities. The choice of a design, organizational model will vary, according to leadership strategy. While human capital stage of development (REF: Human Potential https://human-potential.luisdanielmaldonadofonken.info ) will bring to the leader new possibilities, alternatives, for implementation of a particular organizational model or design. For example, with team members that are capable of traits of human potential stage 3, some tasks and organizational model will be effective, while for other organizations with team members capable of level 8 traits, another organizational model, complexity, would be more friendly and advance the effectiveness of the cluster. The wrong choice of organizational model, in relation to the human stage of development will be detriment of the capacity of effectiveness. The same as for human individuals will apply for cities, when the most important organizations of the location do not share a stage of development or organizational type ( REF: 9 Types of SDG Organizations ) then a city sustainable development plan, strategy and collaboration model, may not be effective enough or the contrary. The SECOND SPHERE OF LOVE reaches its stability when heart-6, wind-4 and ether-5 have reached an stable capacity, ability of collaboration, stable sustainable development. It means that in terms of love, the abilities to love through the forms, fields of expression, activities suggested by the 3 classes, or systemic fields of the second sphere of love, the triad of the earth-ground, have reached a certain level of development or maturity. LOVE-COCREATION-2: Male and female equality, cocreation, communication. How does love express itself through he ability of cocreation ? What does cocreation mean, within this cypher ? Male and female qualities, exist within each individual. The ability to create in one individual belongs to the ability to bring together both qualities. For example to bring together along collaboration both left and right hemispheres will be a simple direct example. Objective and subjective, conscious and subconscious ability of one individual. In terms of love relationships, a couple must develop the ability to sustain own relationship in time, develop it, nurture it, help it evolve. Notice that the index in Europe, for example in the Netherlands, of divorces is of about 50%, and imagine how the index grows for single parenting and all kind of social issues related ? In comparison with families 100 years ago, how the stability of community, family, clan, culture has changed? Did the emotional ability of co-creation along a sustainable bonding relationship evolved along 100 years ? or how capable is nowadays our culture to give a frame of stability to families, couples, love relationships and individuals ? Family is essential for clan, community and culture. How does love express itself for all necessary activities, skills, for building up a family, supporting cocreation, and love ? IN terms of organizational development, the organization as well has female and male traits, aspects, and team members. How equality, in terms of respect for each other, brings a more stable, sustainable and balanced sustainable development process ? What do need team members to learn, or develop within themselves for the purpose of achieving effectiveness in the field of equality, cocreation, and male-female skills advancement ? Which emotions and traits belong to a male quality and which to female, can both men and women, explore and express themselves in both of them according to case, and between each other cocreate accordingly ? 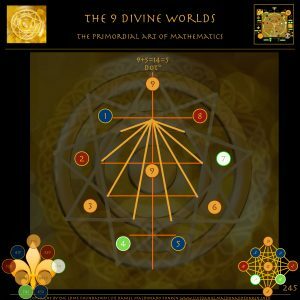 LOVE MATRIX-Q-1: When love, its self-expression, is perceived in its natural complexity of forms, traits, skills, circumstances,… its multidimensional nature, its matrix becomes visible. But just to have the information on the matrix and know about it, does not make it possible for an individual to love simultaneously in all forms, fields of the matrix skill-fully. Just consider the 9 cyphers, and a particular circumstance loving individual, clan or team must face. Matrix-Q is a type of intelligence that when present, means individuals or clusters are able to solve challenges by approaching them from several perspectives simultaneously. 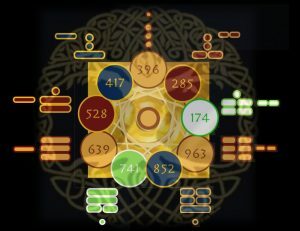 In this case, of the Nordic Star Theta, and the Thesseract Theta, geometrical structures utilized to represent 9 fields of human traits, skills or phenomena, it would mean to develop not only the unidimensional abilities of love that belong to each cypher, but of all cyphers and apply them all simultaneously. PRIMORDIAL HEART LOVE -9: Finally the cypher 9. Through the study of primordial mathematics we realize that this particular cypher has a meaningful influence in all other cyphers. While it adds to them the higher value of influence, at the same time does not change them at all. The Primordial Heart refers to those qualities necessary to make sense in an universal context. If the individual or cluster have developed the ability to answer the questions like: Do you know your place, purpose, mission, in the universe, life or time line ? Do you know why are you alive or what is the destiny you have ? Do you know your self ? Which is your role in the universe ? If the answers do not generate any kind of conflict, or self-conflicted process and are natural t the individuals, it may be a sign that are capable to express primordial love. For the 9 Stages of development, the stage 5, (REF: Human Potential https://human-potential.luisdanielmaldonadofonken.info ) the stage represented by the symbol of the gods, is possible to achieve only when there is no conflict with the idea of union with the source of all that is have been and will be, within own heart. Which is the source, generator, creator of your own life? are you in conflict with your own life ? Another question that invites to self-reflection and may guide the cluster and individual to greater stability or further exploration on the nature of life and the time line of own life experiences, in the past, present and future. Does what we wish and plan for future generates conflict with those questions or not ? Love in these terms, becomes the ability to bring conflict into a state of peace and beyond conflict, union with own self. By becoming one with own life, all own expressions, (9 types of love), is possible then to experience, have the ability to perceive, identify another quality of daily life experience which lives free of conflict, and evolves with the ability of integration, inclusion. Those skills become highly valuable, for example, for an emerging global culture and civilization, in which cities becomes multicultural, multi-religious and multidisciplinary hubs, and where inclusion is necessary, but with an ability beyond tolerance, the ability to love in inclusive terms, without conflict. If individuals themselves, in their own life, if their clans, clusters, networks and communities are not yet able to love themselves in those terms, it will not matter much which design for governance they may have chosen as for ideal practice, for purpose of social management and integration of cultures, a conflict will be nurtured, tension and stress pushed up, a number of conflict and tension points will be overseen, and mis-perceived, creating as a result weakness in the process of social management and leadership, culture or organization, city or family development, and challenges for leadership. There is a point in the individual and cluster development in which conflict becomes so powerful that will stop all development processes until conflict is solved. The human factor, the human side of the sustainable development equation, makes the cypher 9 so important, the ability to advance human effectiveness beyond conflict is necessary, as well as a clear understanding of the value, the right role, of the skill of endurance, tolerance and inclusion, demonstrated by cultures and governments, but that is not sustainable long term, as for the design of their CGI or conflict that the multicultural hubs are creating, for example in Europe, 2017, regarding refugees and multicultural integration, in relation to national natural cultural development and cultural defense. (Culture generation Engine : or collective cognitive ability of the nation or group of individuals or individual guided, lead by that particular heart and its particular traits). The THIRD SPHERE OF LOVE achieve its stability when the triad of heaven: Matrix-Q-1, Cocreation-2 and Leadership-9, skills and traits, cyphers are in balance and stability. 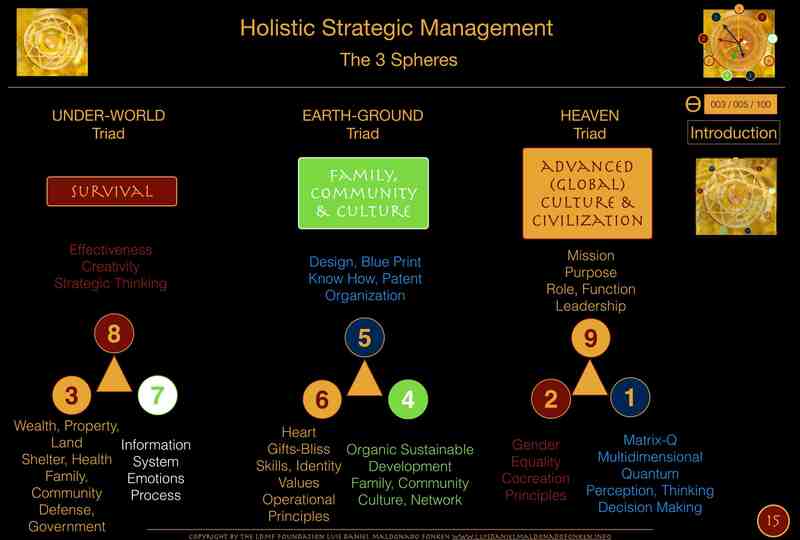 At this stage, the third sphere means that an advanced culture and civilization has reached an stable foundation for its development to the next triad, or sphere. Matrix-Q love, as described above, would mean a form of complex advanced (educated) emotions and tangible, pragmatic set of skills, that are signs of love, love according to each cypher, to each triad and each sphere. HOW TO INTEGRATE MATRIX-Q Intelligence, and Matrix-Q Emotional Intelligence Into Leadership and Holistic Strategic Management ? At the Matrix-Q Research Institute, we do believe that by the application of PT-Theta Primordial Algorithms, within our organizational design, and training programs, services of assessment, coaching, training and consultancy we are able to achieve this goal. 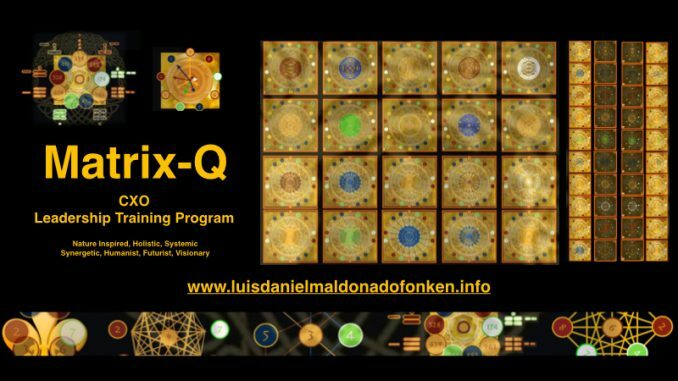 In particular Matrix-Q Competitions and Matrix-Q Training programs for leadership has been planned for 2018, giving to the attendees the possibility to discover through experiential gamified trainings in the Netherlands or through online e-learning programs the benefits of the tools and the know how provided by the Matrix-Q Research Institute. Matrix-Q Competitions 2018 – Are you ready for the challenge ?